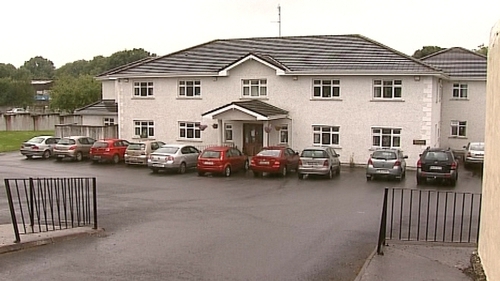 The Health Information and Quality Authority has published three inspection reports into the Owenriff Nursing Home in Oughterard, Co Galway. The authority recently secured a closure order against the home. HIQA carried out an unannounced inspection in April and inspectors found most residents did not have a bath or shower in the previous month. Inspectors expressed grave concerns over staffing levels and the skills mix at the home. They found that some residents were receiving their breakfast when it was almost dinner time. After HIQA secured a closure order for the 40-bed private home, it was subsequently taken over by the Health Service Executive and currently has around 20 residents. The home's owners recently withdrew their appeal against the closure order. Inspectors found that the person in charge was "disorganised", nursing documentation was out of date and there were medication errors. Inspectors said there appeared to be a poor quality of life for residents, and water and drinks were not freely available to them. Information on residents was located in various files and in various locations and in some cases residents had two files with similar information and staff were unaware which file was current. The report stated that many residents were still in bed, were unkempt and had filthy clothes on. Male residents were unshaved and a "bowel/shower" book was in use, indicating that most residents did not have a bath or shower in the previous month and instead "sponge" was recorded. Agency staff had not received any briefing on fire safety and evacuation procedures prior to working at the home. Staff were seen to be hurried, with no time to communicate with each other or with residents. Staff files did not contain the required information, such as garda vetting, three references and evidence of medical and physical fitness. Other problems found by inspectors included hot water to some wash-hand basins was scalding to the touch, there was poor infection control and residents who had a fall were not routinely referred to a GP for review. Elsewhere, the HSE has concluded consultations and meetings with 53 residents and their next-of-kin from two nursing homes in the midlands. The HSE announced the closure of St Brigid’s Hospital in Shaen and Abbeyleix Community Nursing Unit last winter. Some of the residents of the Abbeyleix unit took judicial review proceedings seeking to set aside the HSE's decision to close the unit. The HSE agreed to set aside its decision to close Abbeyleix and to engage in a consultation process with the residents of the two nursing homes, the public and other interested parties regarding whether the units may or may not close. A decision on the future of the homes will be made next month by the Minister for Health.